See the Louvre Palace empty. See all the traffic of Beijing roads disappear. 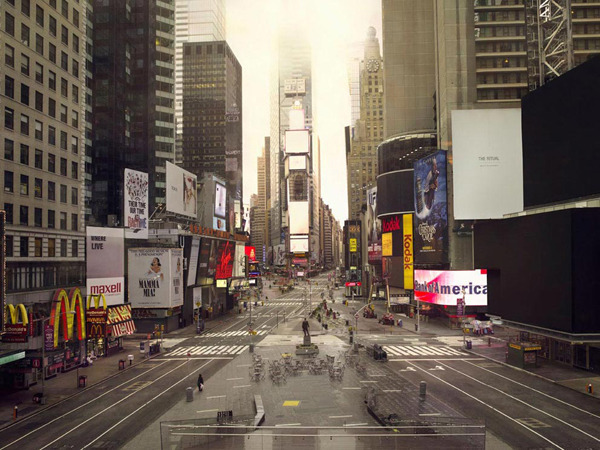 See Times Square abandoned completely, except for one solitary soul standing still with a plastic bag. We’ve got your post-apocalyptic fantasies right here! Artists Lucie & Simon have created this series using a neutral density filter, used by NASA to analyze stars. Full story here.